In today’s Gospel when Jesus talks about hypocrites, He is referring to the self-righteous Pharisees and Sadducees of His day. I wonder if I would have been a Pharisee back in Jesus’ time. I am not much of a rule follower, so I don’t know if I would, but I do have a deep sense and love for tradition, for routines, for ways to check off on a list that I was “good” today. Did I wash the dishes? Did I complete my tasks for my businesses? Did I do Good-Mom duties like homework and a peaceful bedtime? Yes, I would have been a Pharisee. Not only am I realizing that I love to check off my list of guiding principles that tell me I am “good,” but I LOVE being recognized for it. I deserve a pat on the back for that to-do list I just conquered for my job. I think Jesus is proud of me for doing so many good things today. This desire to be acknowledged, to be praised, to be thanked, to be seen for my hard work is insatiable. It can never be quenched. I always want more: more praise, more love, more adoring. He calls out the hypocrites like me. The hypocrite in me who closes my eyes and asks for a humble heart, while at the same time, opens one eye to see if anyone is watching. The hypocrite in me who fasts yet complains the whole time. The hypocrite in me who wants the recognition for all my small and large tasks I complete day in and day out. The hypocrite in me who swells in pride when I am recognized and admired. I am the Pharisees; I am the hypocrites; I am the one working for a pat on the back. Lord, I close my eyes and ask for the humility and the love to serve you in quiet, to love on others in silence, to lay my hypocrisy down and seek not to be recognized, but to be closer and closer to you. And this time, I keep my eyes closed. 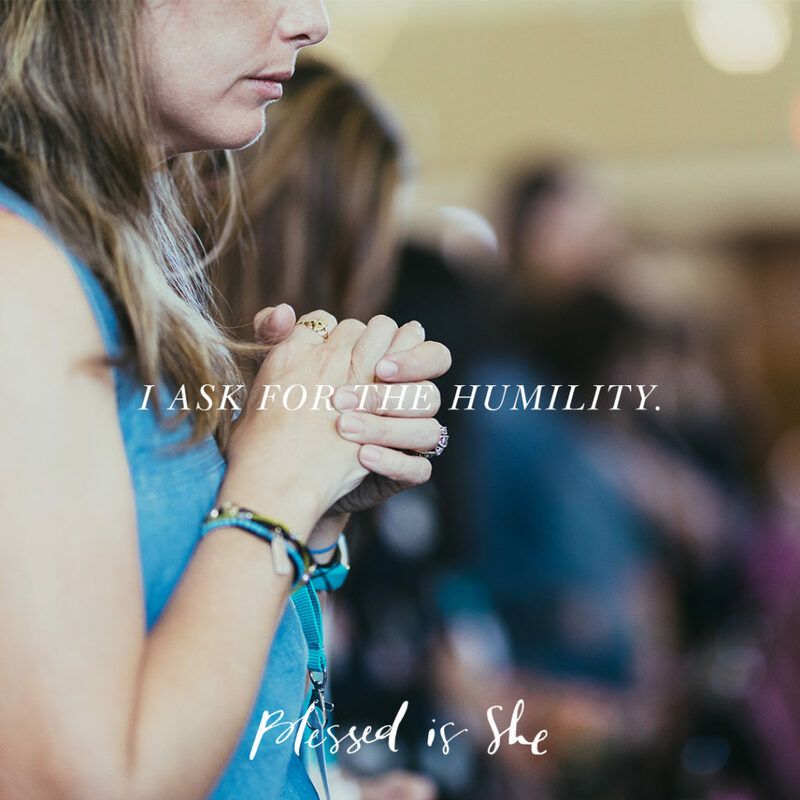 Can you close your eyes and pray for humility today? Jenna Guizar is a wife and mother, is the founder of Blessed is She, uses essential oils on the daily, and loves reading about controversial topics. You can find out more about her here. Spoken straight to my heart. Thank you Jenna. Thank you for this Jenna! Your words cut straight to my heart. I am a “words of affirmation” person, so your reflection was spot-on for me. I pray for humility. Loved this! Thanks Jenna. Exactly what I needed to hear today, just like God knew these Scriptures would be timely and speak to my heart, too. Wow. This was exactly the message I needed this morning. Thank you!